The watermark (logo and large X) on the front of the card image does not appear on the printed product. E-mail proofs not available for PRE-PRINTED cards. 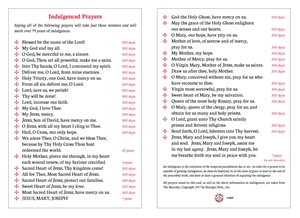 Size*: Jumbo 4" x 6"
A beautifully printed prayer card! 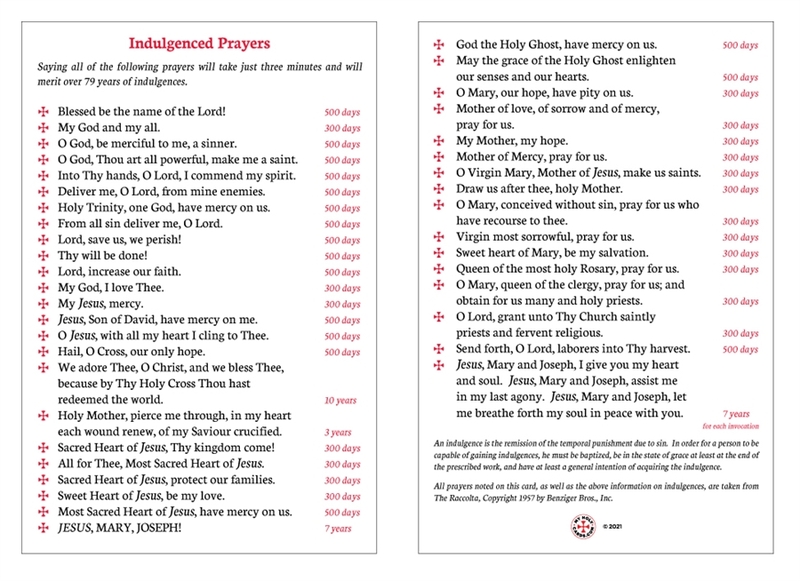 Saying all of the following prayers will take just three minutes and will gain over 65 years of indulgences. Printed on our offset printing presses using heavy high gloss cover stock! Very solid and durable. Large Size; 4" W x 6" T.